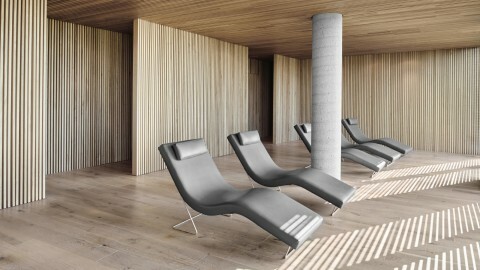 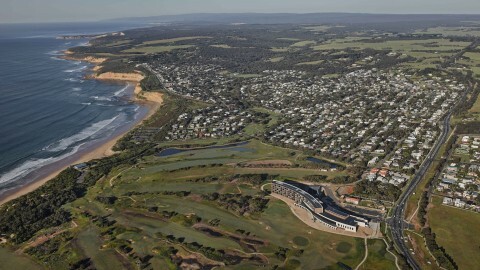 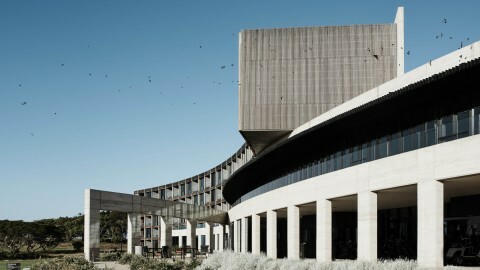 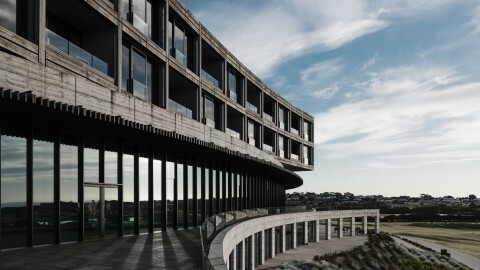 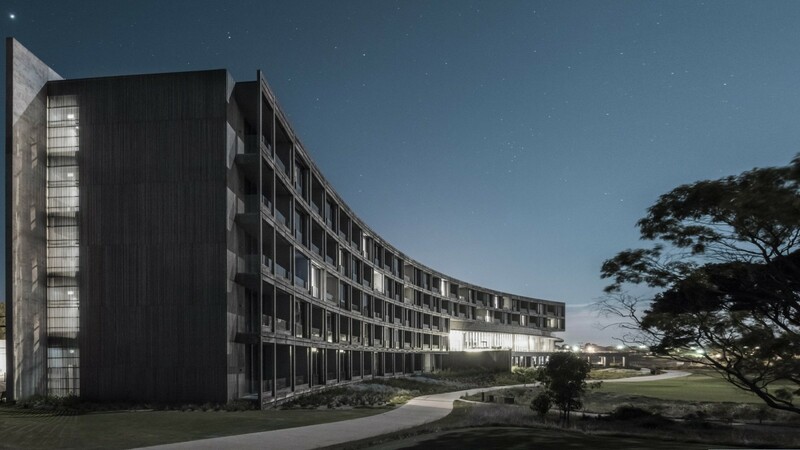 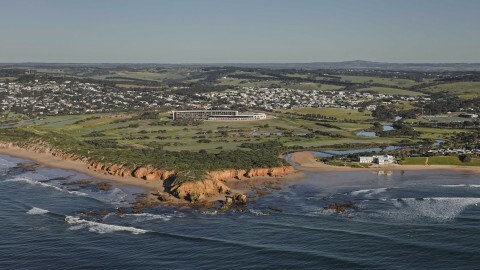 At the gateway to the Great Ocean Road, the RACV’s Torquay resort is the Club’s first 5-star resort facility. 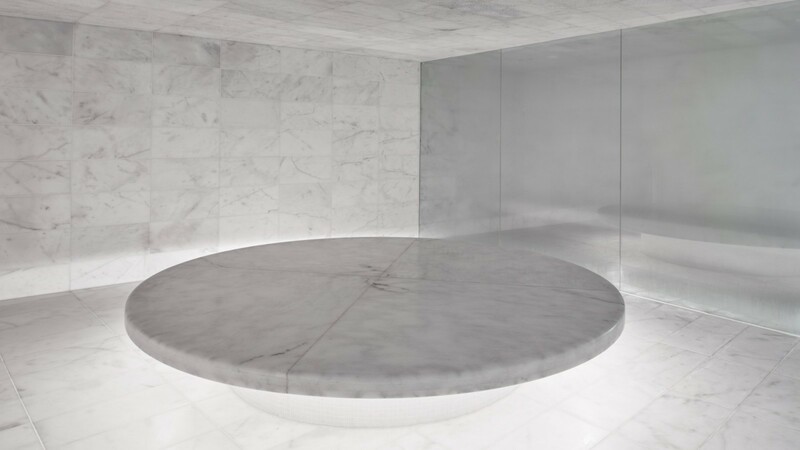 As such, the brief required the design to be simultaneously cutting edge and comfortable, to satisfy existing members’ expectations and to surprise and entice corporate groups, international tourists and private events. 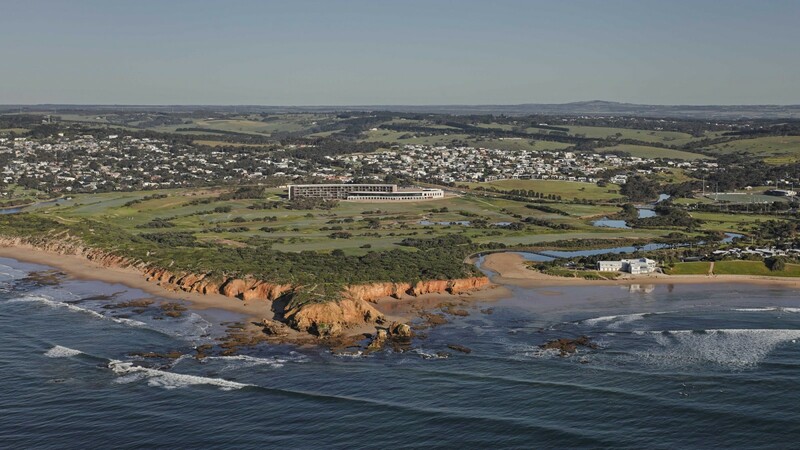 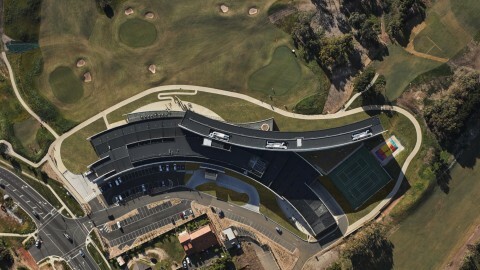 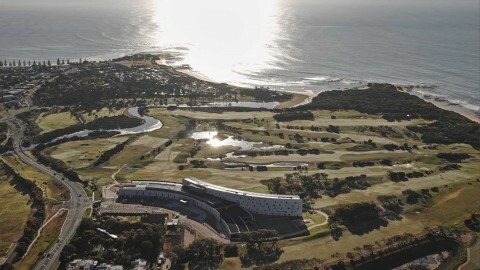 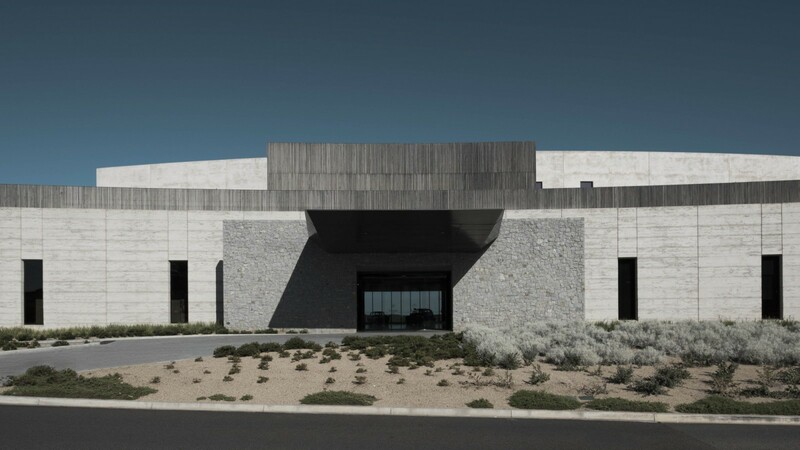 Sited to take in the easterly view of Torquay and Jan Juc beaches, and overlook the existing golf course, the project provides a venue of prominence without blighting the landscape. 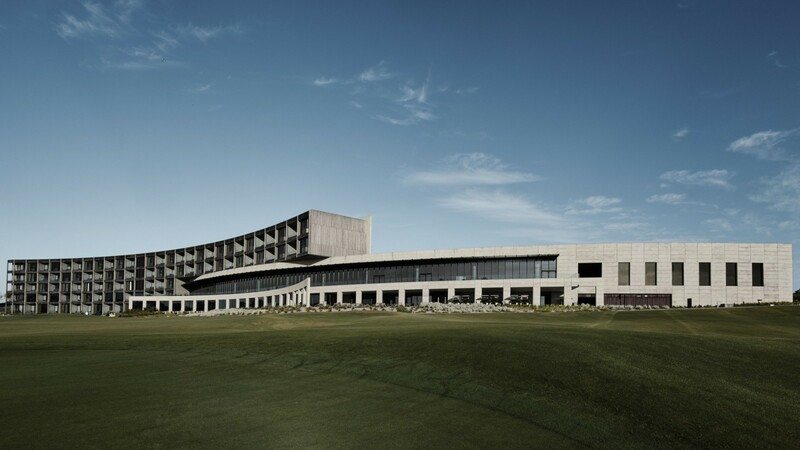 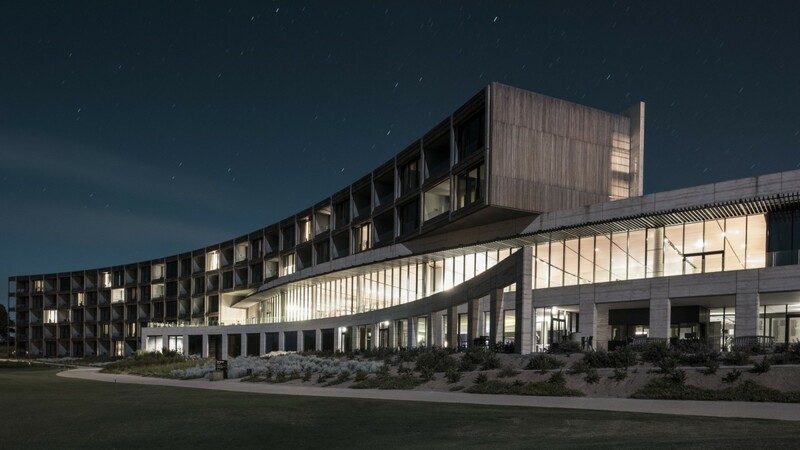 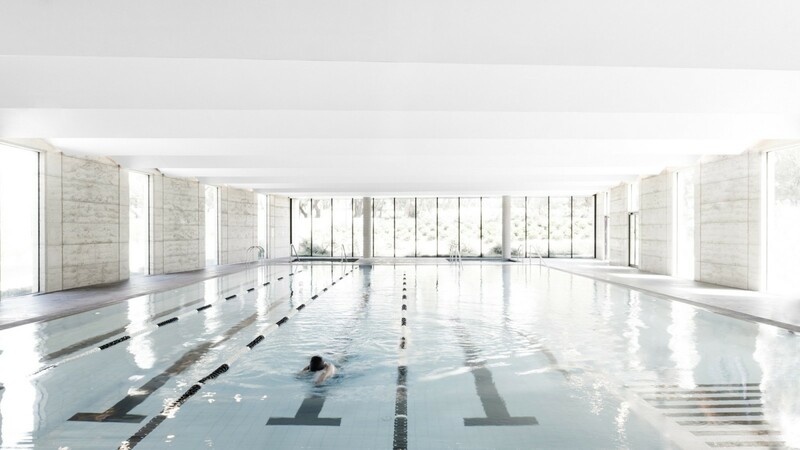 Its form is dominated by a sweeping five-level arc that houses 92 rooms, above counter-curving lower levels of public facilities, including restaurants, conference rooms, an indoor pool, gym, day spa, and new golf clubhouse. 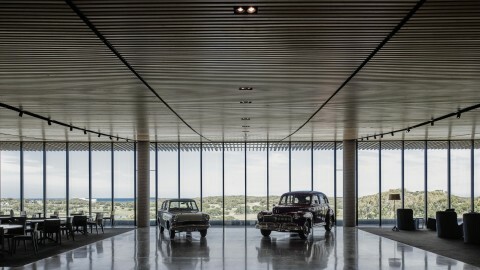 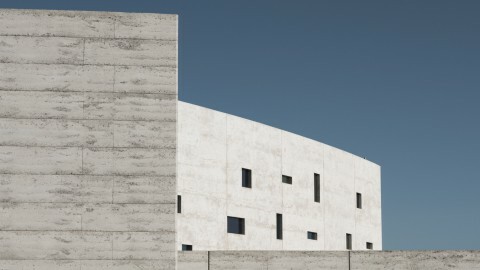 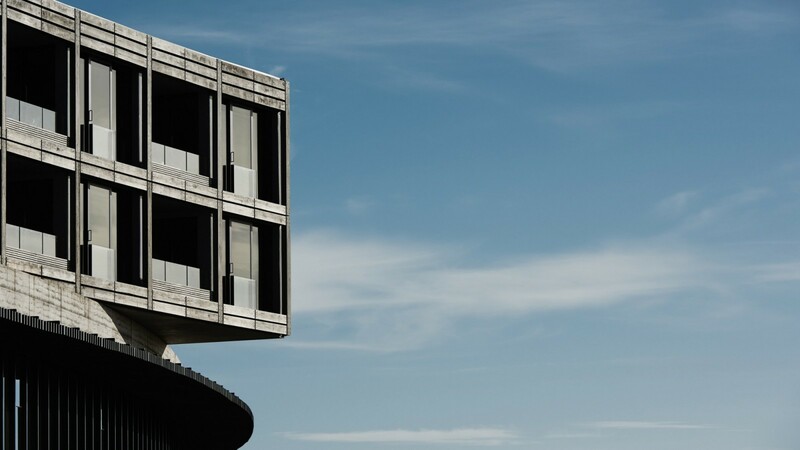 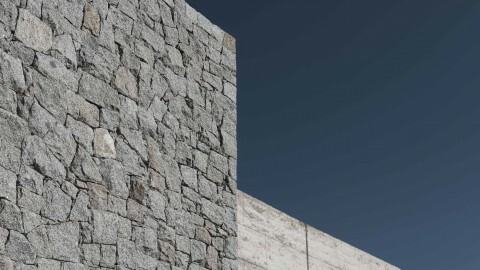 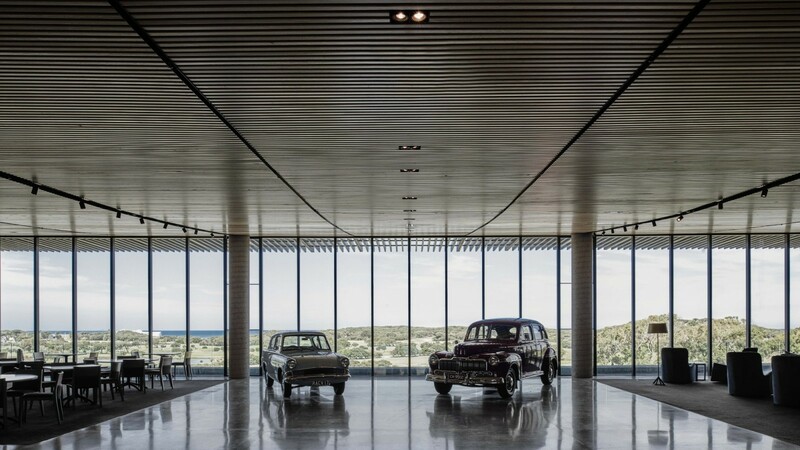 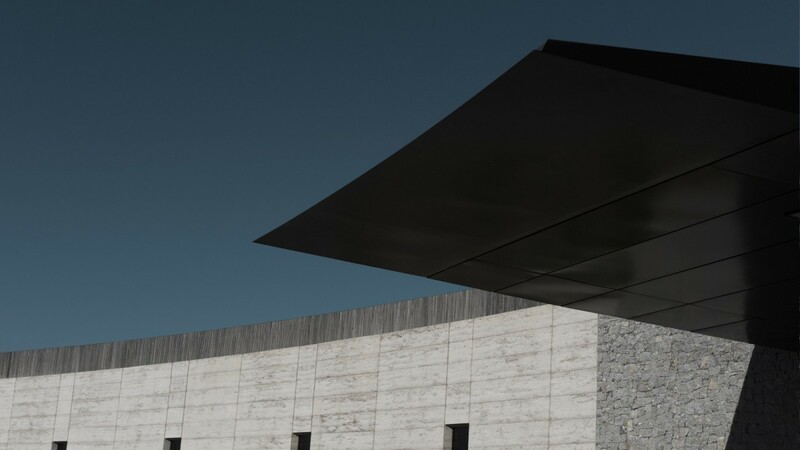 The extensive use of timber and rammed earth was informed by the coastal condition, and deliberately chosen to weather and fade to render the structure an apparent relic in the landscape. 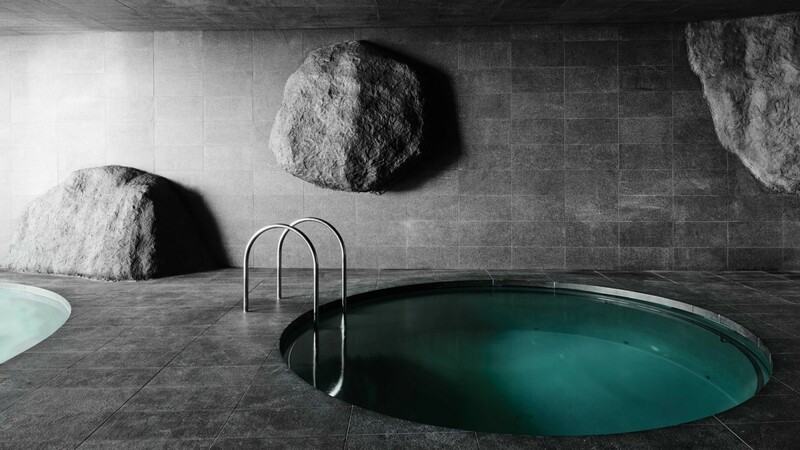 Supporting the aim to create a minimal footprint is the rigorous implementation of sustainable principles and technology. 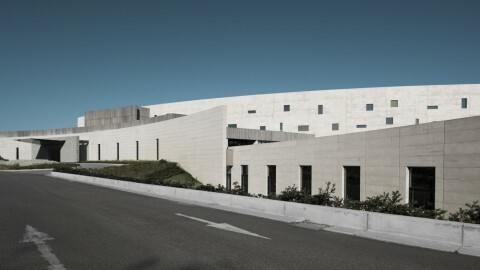 The public benefits of this project, particularly to the local community, are numerous and diverse; beyond the provision of state-of-the-art facilities and the boost to the local economy through the influx of visitors, the introduction of a finely wrought, architectural exemplar to the area is not to be underestimated.